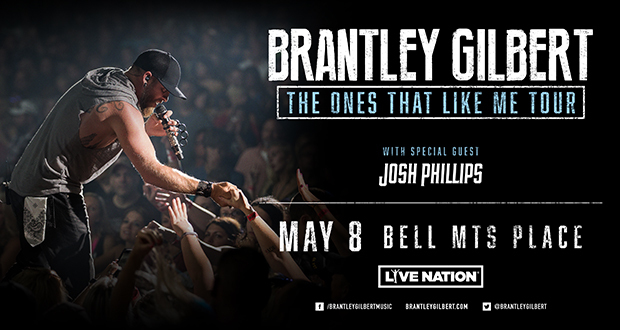 Following the recent postponement of his March 5 performance, Brantley Gilbert has announced the rescheduled concert in Winnipeg will take place on Tuesday, May 8 at Bell MTS Place with guest opener Josh Phillips. Previously purchased tickets will be honoured at the door on the new date. Fans unable to attend the new date will be eligible for a refund at their point of purchase.